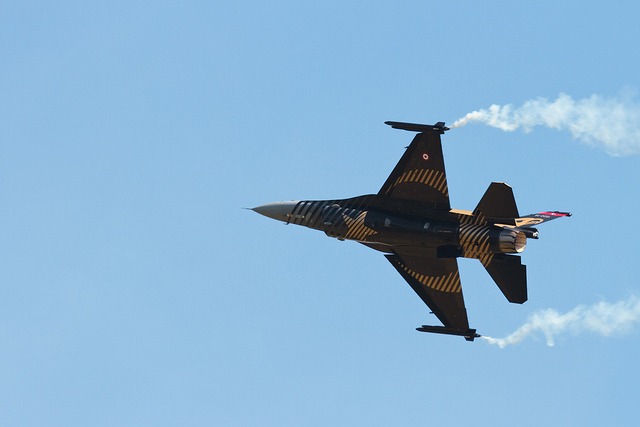 A momentous decision was taken last week: the Turkish Parliament voted 298–98 in favour of a resolution authorising military incursions into northern Iraq and Syria, and allowing foreign forces to use Turkish territory for operations against Islamic State. That resolution takes on heightened significance with IS apparently poised to take control of Kobane—a Kurdish town just on the Syrian side of the Turkish border. Turkey, a NATO ally, is a potent force in its own right—and with a military attuned to the task of opposing everything IS stands for. Amidst the ruins of the defeated Ottoman Empire, the great founder and architect of modern Turkey, Kemal Ataturk, explicitly shaped the armed forces as an instrument to uphold the secular ideals he championed. The Army was to act as a check against religious or political extremism—a role it has played (occasionally in ways open to criticism) since Ataturk’s time. To a considerable degree, Ataturk’s approach was a continuation of a much older Ottoman tradition—within which the much-feared Janissaries (originally a slave army composed of men kidnapped as children from Christian lands) often played a decisive role in the selection, maintenance and deposition of Ottoman Sultans. As such, the army often acted as a force for stability in the Turkish empire—albeit at the price of contributing to the stagnation that eventually robbed the Ottomans of the vitality needed to maintain their hold on imperial power. This brief excursion into history highlights two factors. First, there are good grounds for believing that Turkish ground troops are precisely the kind of force that could deal a lethal blow to the IS fighters. Second, the modern Turkish army is predominantly a Sunni Muslim force, operating under the political direction of a President, Recep Tayyip Erdogan, who has impeccable Islamic credentials. Turkish forces engaging IS would do so with the moral authority of an Islamic force committed to moderation within the Sunni tradition. But such an intervention is also fraught with difficulties. There’d be deep regional antipathy to the use of Turkish arms, and no nation would be more concerned than Iran. We shouldn’t forget that the contest between the Ottoman (Turkic) and Saffavid (Persian) empires defined geopolitics in the Middle East for hundreds of years. Moreover, there are a number of reasons why modern Iran would want Turkey to remain disengaged. First, as the wider region’s Shiite superpower, Iran is keen to preserve the position of the Assad regime in Syria—a regime Turkey’s already condemned. Assad is an Alawite (a stem of the Shiite branch) and enjoys Iranian support. However, Assad’s importance to Iran has less to do with religious affiliation than his influence in Lebanon where Hezbollah (another Shiite military and political movement) holds sway with Syrian support. If Turkey were to intervene in the north of Syria, Iran would fear a progressive dismantling of its network of influence arcing from Tehran, through Baghdad and Damascus to the Levant. It’s also likely Russia would be troubled by Turkish intervention. The stability of Assad’s regime has previously delivered regional ‘clout’ to the Russians—a useful hedge against what’s thought to be unhelpful US meddling in Iraq, Afghanistan, Arabia and the Gulf States more generally. Russia also values Syrian influence in Lebanon—not least as a means to prevent (or at least delay) the development of vast reserves of hydrocarbons stored in the Eastern Mediterranean basin. The last thing Russia wants is a rival source of energy to its own supplies to Europe. Add to that Turkey’s membership of NATO and it’s easy to see why Putin wouldn’t welcome Turkey taking a more active role against IS. Finally, even the Iraqis are likely to be nervous about Turkish forces taking to the field against IS. That’s especially so for the Kurds—whose kinfolk in Turkish-controlled areas have an uneasy relationship with the government in Ankara. Beyond immediate issues, the long shadow cast by the defeated Ottoman Empire is enough to make even the beneficiaries of Turkish power resistant to its application. Given that resistance, the Iraqis are unlikely to welcome Turkish ‘boots on the ground’. So, why might Turkey act in the face of such opposition? First, and most important, Turkey urgently requires a solution to the problem of refugees crossing her southern borders—over 1.5 million are already seeking shelter. Far better, for Turkey, would be the creation of safe havens in northern Iraq and Syria. But driving IS forces out of those territories currently seems beyond the resources of the Iraqi Army and Kurdish Peshmurga. That may change—especially with increased arms flowing to the Kurds and with improved training and support strengthening the sinews of an Iraqi Army splintered by religious factionalism. Still, Turkey mightn’t have time to wait for those developments. Second, Turkey might hope to strengthen its position with the European Union. The failure to consummate the long courtship between Turkey and Europe is a product of many factors—not least a lingering European suspicion that Turkey’s Islamic history and culture renders it incompatible as a full partner with countries informed by a predominantly Christian and liberal heritage. If Turkey risks its own blood and treasure in order to defeat Islamic extremists, it will have done its European and NATO allies a great favour. If there’s justice in the world, Turkey should expect to be rewarded for its actions. So, is the deployment of Turkish forces imminent? Probably not. The degree of latent opposition to Turkey seizing and holding Iraqi and Syrian territory is enough to justify caution. Furthermore, there’s the Turkish government’s own antipathy to the plight of the Kurds. But the mere threat of Turkish military involvement may be enough to galvanize others—notably the Iraqis—to do what needs to be done. Indeed, Turkey’s strategic value may be less a matter of what it does than what it might do. For example, one wonders what strategic concessions might be made by the likes of Iraq, Iran, Syria and Russia simply in order to keep Turkish soldiers at home. Simon Longstaff is executive director of St James Ethics Centre. Image courtesy of Flickr user Andrew Menage .